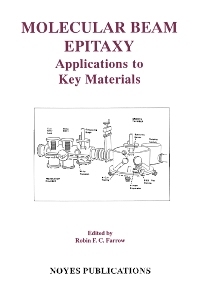 In this volume, the editor and contributors describe the use of molecular beam epitaxy (MBE) for a range of key materials systems that are of interest for both technological and fundamental reasons. Prior books on MBE have provided an introduction to the basic concepts and techniques of MBE and emphasize growth and characterization of GaAs-based structures. The aim in this book is somewhat different; it is to demonstrate the versatility of the technique by showing how it can be utilized to prepare and explore a range of distinct and diverse materials. For each of these materials systems MBE has played a key role both in their development and application to devices. Engineers and technologists in the semiconductor, optoelectronic, optics, cutting tool, refractory fibers, filter and other industries.